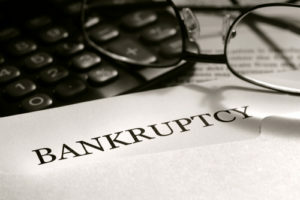 When you’ve gotten buried under piles of unpayable debt, one legal remedy is to file for bankruptcy status. Put plainly, bankruptcy means that you have been deemed legally unable to pay certain debts to creditors. This solution is often seen as a last resort for debtors, but in many cases, it is an effective solution to a person’s debt problems. A recent study published by the Social Science Research Network suggests that a new trend is on the rise. Older Americans over the age of 65 are increasingly being forced to file for bankruptcy. The study highlights the drastic 204 percent increase in the elderly filing for bankruptcy from 1991 to 2016. Now, researchers are looking deeper into this concerning trend to learn why elderly bankruptcy is on the rise. One of the most significant reasons that citizens 65 and older are claiming bankruptcy at double the rate they were 25 years ago is because of extraordinarily high health care costs. The majority of citizens this age has Medicare coverage, but this government health care does not cover everything. Health problems that come along with aging, such as a loss in hearing and vision, result in unexpected costs that are usually not covered by Medicare. In other situations, extensive medical treatment for conditions like cancer may be necessary. Many of these types of situations require copays, deductibles or other fees that are simply unpayable by retired seniors. Injuries may also cause an elderly citizen to lose their jobs while further complicating their situation. In one study conducted by the Kaiser Family Foundation, out-of-pocket health expenses consumed a whopping 41 percent of the average social security income of elderly Americans in 2013.